The Signoria Suite bedding collection is a unique blend of contemporary design with some traditional elements. 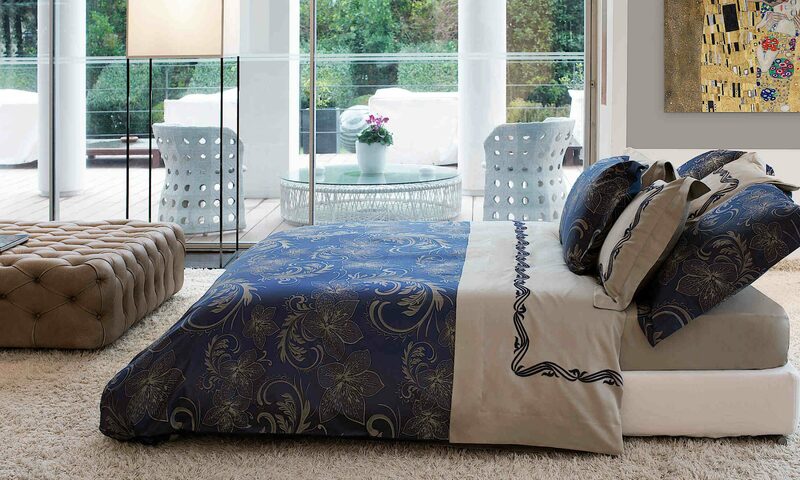 The Suite Embroidered collection consists of 500 thread count 100% Egyptian cotton sateen with embroidered detail. The collection includes duvet cover, sheets, and shams in ivory. Clients may choose pillowcases with an embroidered pattern or with embroidered lace borders. The quilted coverlet is available in espresso or ivory. The Suite Jacquard collection consists of 500 thread count 100% Egyptian cotton jacquard duvet cover and sham. The duvet cover reverses to a solid sateen. Available in 2 colorways, taupe and espresso. Both collections can be mixed with Raffaello to complete the ensemble.